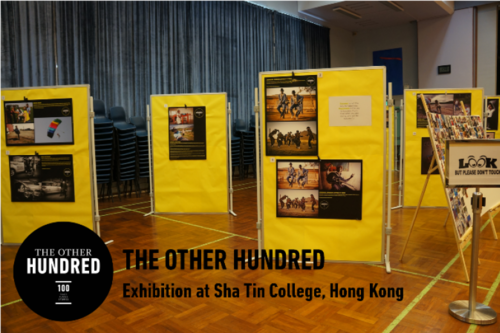 The English Schools Foundation collaborated with The Other Hundred to bring a mobile exhibition to a number of its high schools in Hong Kong. The project was designed to engage students in debate about wealth and poverty and how people and places are represented. Sha Tin College was one of the schools which played host to the exhibition and we are both proud and grateful to be able to bring The Other Hundred to students, faculty and parents in Hong Kong.